Judge Rosario Aitala is Judge of the International Criminal Court since December 2017. He was previously Senior Adviser to President of the Italian Senate for International and Legal Affairs. 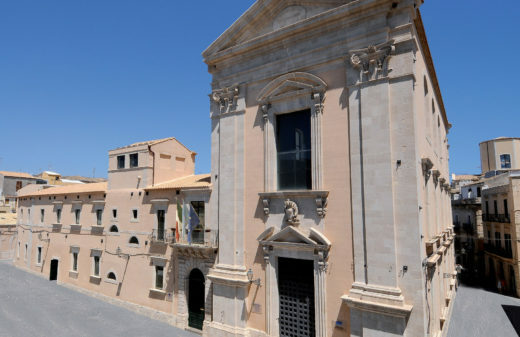 Between 2006 and 2014, he was Contracted Professor in Criminal Law at the University of Naples. His most recent positions (2010-2013) include: Senior Adviser to the Italian Foreign Minister on Security, International Crime and Crisis Areas; Italian representative at the Board of Trustees of UNICRI (United Nations Institute for Crime and Research); Coordinator of Assistance Programmes on Security to Central America; Coordinator of the Cocaine Route Monitoring and Support Programme of the European Union; Coordinator of the EU Assistance Mission to the Justice Sector in Albania; Senior expert in the EU Assistance project to Albania on money laundering and economic crime. Among the other positions he held in the past, there are: Senior Legal Adviser to the Foreign Ministry, Asia Directorate; Coordinator for Afghanistan; Coordinator of Italy-China Economic Programme; Coordinator for Organised Crime of EU Assistance Project to the Office of General Prosecutor of FYR of Macedonia; Principal Expert and Director of Criminal Justice for the EU Assistance Mission to Albania for Police and Criminal Justice. 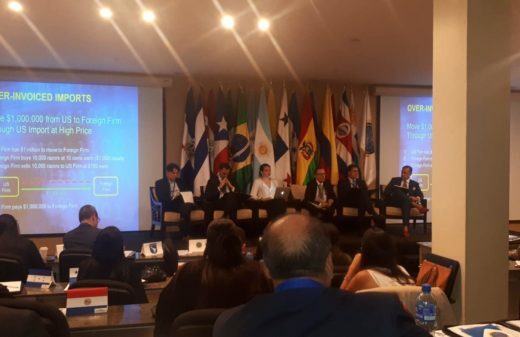 He completed over 100 short-term assignments as lecturer and expert in criminal, procedural and international law, transnational organised crime, terrorism, money laundering and international criminal law in 30 countries of Southern and Central America, Caribbean, Balkans, Eastern Europe, Asia, North Africa and Middle East. 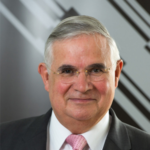 Judge Bernard Leroy is the Honorary Deputy General Prosecutor of the Court of Appeal of Versailles, Director of the International Institute of Research against Counterfeit Medicines (IRACM) (2013) and Member of the International Narcotics Control Board (INCB) (2015). He was an investigating judge specialized in drug cases – Evry High Court (1979-1988); In charge of legal & international affairs – French National Drug Coordination (1988-1990); Senior Legal Advisor – United Nations Office on Drugs and Crime (UNODC) (1990-2010); Deputy General Prosecutor – Versailles Court of Appeal (2010-2013). Manager of the UNODC Legal Assistance Program (LAP) set up to help Member States to ratify and implement the 1988 Convention. On-site assistance provided to more than 100 governments on request. Designed, drafted and disseminated, for the first time in the UN system, specific model laws that have been used by many States including Russia and the other 14 CIS States. Advisor to the President of the French Inter-ministerial Committee against Drugs and Drug Addiction (MILDT). Member of the French delegation in 1988 for the final negotiations of the United Nations Convention against Illicit Traffic in Narcotic Drugs and Psychotropic Substances. Member of the working group of general prosecutors on the development of medicine trafficking (2012). Chairman of the World Bank and UNODC joint team (StAR Initiative) which organized the freezing and subsequent recovery in Switzerland of the assets stolen by the dictator Duvalier in Haiti (April 2008). A partner in the White & Casefirm’s Global White Collar Practice since 2013, Mr. Picca’s practice focuses on multijurisdictional regulatory, criminal and civil proceedings. 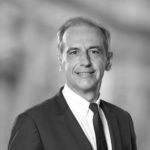 A senior legal advisor to the President of the French Republic from 2010 to 2012, as well as a senior prosecutor, Mr. Picca held various high-level positions within the French judiciary. From 2002 to 2007, he served as Senior Liaison Legal Advisor to the Criminal Division of the US Department of Justice, and to the Embassy of France in Washington, DC. He worked in close cooperation with the United States Attorney’s offices across the country, and with federal law enforcement agencies, as well as the State judicial authorities. In 2005, Mr. Picca was also appointed a Legal Expert in Criminal Law before the Secretary-General of the United Nations. 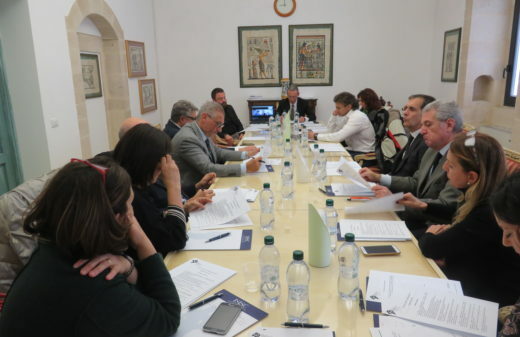 He was also a member of the French Delegation to the Council of Europe’s Committee for Judicial Cooperation and Human Rights, as well as to the UN Commission for Crime Prevention and Criminal Justice. As head of the French Ministry of Justice’s Office of International Cooperation from 1996 to 2002, he conducted law enforcement and judicial assistance projects for the French government and for the European Commission. 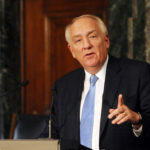 Stephen J. Rapp of Iowa is the former Ambassador-at-Large heading the Office of Global Criminal Justice in the U.S. Department of State (2009-2015). Prior to his appointment, Ambassador Rapp served as Prosecutor of the Special Court for Sierra Leone beginning in January 2007, responsible for leading the prosecutions of former Liberian President Charles Taylor. During his tenure in Sierra Leone, his office won the first convictions in history for recruitment and use of child soldiers and for sexual slavery and forced marriage as crimes under international humanitarian law. 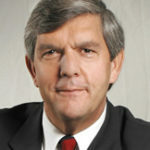 From 2001 to 2007, Mr. Rapp served as Senior Trial Attorney and Chief of Prosecutions at the International Criminal Tribunal for Rwanda, personally heading the trial team that achieved convictions of the principals of RTLM radio and ‘Kangura’newspaper — the first in history for leaders of the mass media for the crime of direct and public incitement to commit genocide. Mr. Rapp was United States Attorney in the Northern District of Iowa from 1993 to 2001. He received his BA degree from Harvard College in 1971. He attended Columbia and Drake Law Schools and received his JD degree from Drake in 1974. 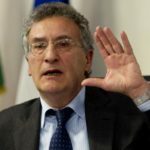 Judge Franco Roberti, born in 1947, was the Italian National Anti-Mafia Prosecutor from July 2013 to November 2017. After the entry into force of Law no. 43 of 2015, for “Urgent measures for the fight against terrorism, including international terrorism”, he was also elected to serve as National Anti-Mafia and Counterterrorism Prosecutor. Prior to his appointment, Judge Roberti served as Vice Public Prosecutor in Naples. In this role, he simultaneously acted as coordinator of the unit investigating crimes against the State and offences for the purpose of terrorism, or those designed to subvert the constitutional order, as well as coordinating the subdivision responsible for preventive measures. 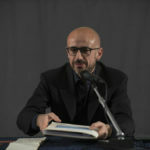 From 2009, Roberti served as Public Prosecutor at the Court of Salerno, and was personally responsible for coordinating the District Anti-Mafia Directorate. From 1993 to 2011, Judge Franco Roberti served as National Anti-Mafia Deputy Prosecutor at National Anti-Mafia Directorate while from 1982 to 1993 he served as Deputy Public Prosecutor at the Court of Naples. 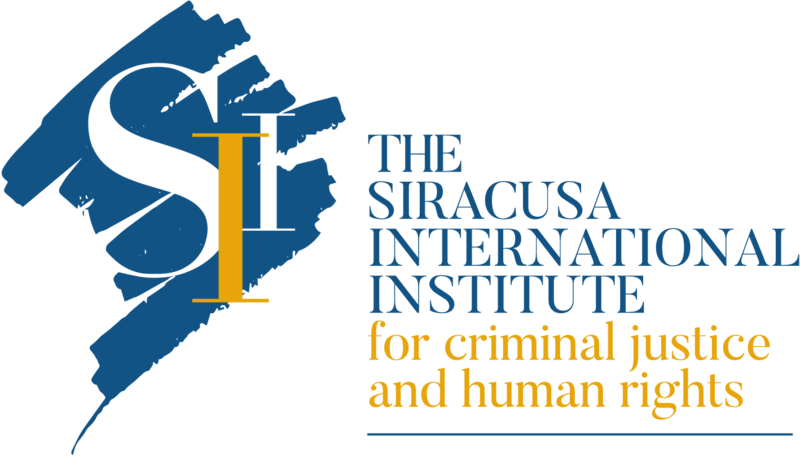 In this role, he was responsible for investigations into crimes against the public administration, Mafia-related organized crime as well as terrorist and subversive offences. He was initially a member of the “Extortion and kidnapping” division, before joining the District Anti-Mafia Directorate when this was established. Judge as of 11 March 2009, for a term of nine years. Assigned to the Appeals Division. Elected from the Western European and Others Group of States, list A. Judge Van den Wyngaert (1952) graduated from Brussels University in 1974 and obtained a PhD in International Criminal Law in 1979. 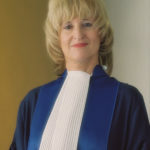 She was a professor of law at the University of Antwerp (1985 – 2005) where she taught criminal law, criminal procedure, comparative criminal law and international criminal law. She authored numerous publications in all these fields. She was a visiting fellow at the University of Cambridge (Centre for European Legal Studies (1994 – 1996), Research Centre for International Law (1996 ?1997)) and a visiting professor at the Law Faculty of the University of Stellenbosch, South Africa. Her merits as an academic were recognised in the form of a Doctorate Honoris Causa, awarded by the University of Uppsala, Sweden (2001). In 2010, she was awarded a doctorate honoris causa by the University of Brussels, Belgium. In 2013, she received two further a Doctorates Honoris Causa, one from Case Western Reserve University (Cleveland Ohio) and one from Maastricht University (The Netherlands). Judge Van den Wyngaert gained expertise in various governmental organisations. She was a member of the Criminal Procedure Reform Commission in Belgium (Commission Franchimont) (1991 – 1998) and served as an expert for the European Union in various criminal law projects. She has extensive international judicial experience. She served in the International Court of Justice as an ad hoc judge in the Arrest Warrant Case (2000 – 2002) and was elected as a judge in the International Criminal Tribunal for the former Yugoslavia where she served for more than five years (2003 – 2009).